MADISON, N.J. (May 24, 2017) – After serving as a head coach of two sports and director of athletics at FDU-Florham, Bill Klika has announced his retirement effective June 1st. Current Associate Director of Athletics and Head Men's Golf Coach Roger Kindel will take over as the director of athletics on an interim basis while a search is conducted to find a permanent replacement. Klika founded the FDU football program in 1974, serving as the head coach until 1996. In 1993, he led the Devils to the first playoff berth in school history, qualifying for the ECAC Playoffs with an 8-3 mark. For his contributions to college football, Klika earned the Metro Award by the Eastern Intercollegiate Football Organization. From 1982-1988, he served in a dual role adding duties as head baseball coach. His 61 career wins rank him fourth all-time in program history. 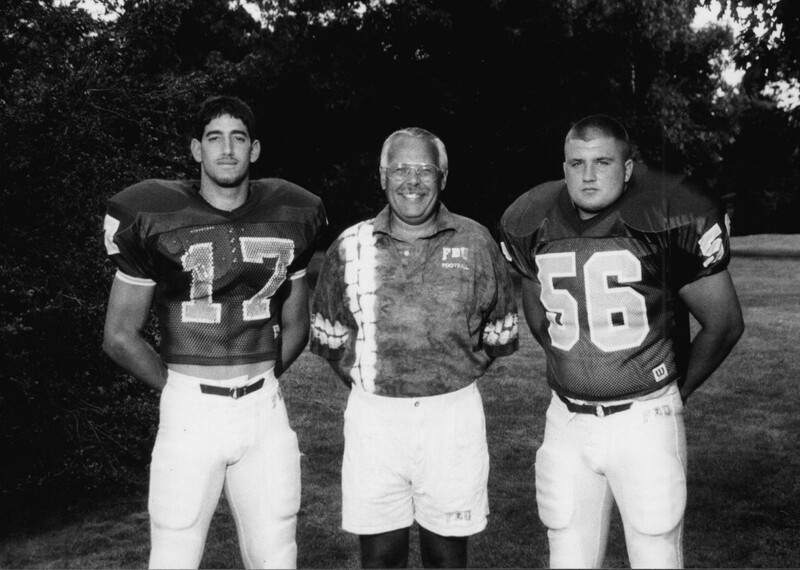 After retiring as the football coach in 1996, Klika returned to the sidelines for two more seasons in 2001 and 2002. He notched 63 wins during his tenure as head coach, the most in program history. In May of 1989, Kilka was named director of athletics, only the second in school history. While serving as the AD, the Department of Athletics added seven sports (women's soccer, women's lacrosse, men and women's swimming, men and women's cross country and women's golf). During his 27 years at the helm of the department, he played a vital role in the construction of Ferguson Recreation Center and founded the FDU-Florham Athletics Hall of Fame in 1996. In 2003, Klika oversaw construction of new artificial turf field and grandstand that is utilized by six outdoor sports. In 2012, the National Association of Collegiate Directors of Athletics as the Athletic Director of the Year for the Southeast Region. Klika was presented with the Lou Sorrentino Award in the same year, given by the Middle Atlantic Conference in recognition of commitment to the conference and to NCAA Division III. He was also honored that year by Fairleigh Dickinson University with the Pillar Award, which recognizes those exceptional individuals who, over time, have made extraordinary contributions to the character and quality of the University, its community and culture. Under Klika guidance, the department has appeared in the NCAA Tournament 23 times, culminating with a Women's Basketball National Championship in 2014. Currently, the field hockey team is enjoying a strong three-year stretch, qualifying for the ECAC Semifinals in each of the last two seasons while winning the conference title and advancing to the NCAA Second Round in 2014. Additionally, the women's basketball team has won five straight Middle Atlantic Conference Freedom Conference Championships, while the women's lacrosse team has picked up three consecutive MAC Freedom crowns. Klika will remain at FDU as an Adjunct Professor in the Sports Administration program. "Bill has made such an impact on, not just the FDU football program, which he began and coached for over 20 years, and not just the athletics department, which he was athletics director for almost 30 years, but for the entire FDU community, which he worked at for 44 years. One does not see someone work at one institution that long anymore in any job capacity but especially in athletics. This is a testament to Bill's dedication to the student-athlete and the athletics staff here at Florham and also his ability to keep up with the ever-changing work environment in college athletics. His work on various committees within the NCAA throughout his years made him a pillar of knowledge and an advocate for the student-athlete experience. Bill will be sorely missed and hard to replace. Anyone who had the fortune of coming into contact with him while he was at FDU was only better for the experience. We all just want to say thank you for all that you have done- as a coach, athletics director, mentor and friend. Best of luck as you move on to the next phase of your life!" "I would like to congratulate Bill on his 44 years of service to the campus. His dedication and loyalty to the university goes unparalleled. From when I first started here, the development of the department is unbelievable with full-time coaches and the growing number of sports and facilities. Any accolade given to him is very well deserved." "I appreciate that he mentored not only thousands of student-athletes, he mentored coaches, parents and university administration – including me. It is difficult to imagine the Florham Campus flourishing without him. Thus, I hope to see him regularly in his retirement. I hope he will follow through with plans to teach in our Sports Administration program and continue on the fund-raising team for the new turf field and track. Soon the dream of new fields and a new look for the Madison side of campus will be a reality and I look forward to sharing that moment with Bill and the Campus."